The Belnord Hotel welcomes fiscal-minded travelers to our boutique, Upper West Side hotel. With our warm, friendly service, and excellent location, the Belnord is a perfect haven for travelers seeking comfortable and affordable Upper West Side accommodations for a great value. 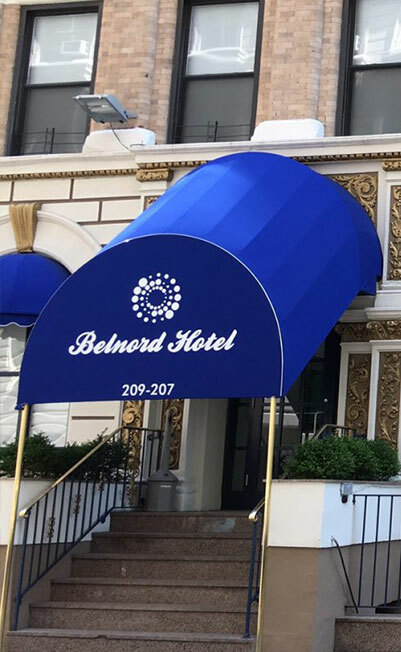 Located in the heart of Manhattan's fashionable Upper West Side, and within walking distance to Central Park and the Museum of Natural History, the Belnord Hotel is situated on a quiet residential street, just minutes away from dining, shopping, entertainment, and the subway. The Belnord Hotel offers 119 rooms in two six-story buildings among budget hotels in New York. Guests who seek to explore the Upper West Side at a great value will enjoy our affordable accommodations--including mobility accessible rooms--which features a private bathroom and individual climate controls. Stay six nights and get 20% off. Book your stay at The Belnord Hotel today and save 10%. Stay four nights and get 15% off.